Economists do not believe the OCR will change next week, but predict the Reserve Bank will take a cautious stance on future growth, with a number of headwinds for New Zealand and the global economy. Next Wednesday, the central bank will make its latest decision on the OCR and will make a Monetary Policy Statement. Economists unanimously agree there will be no movement on the OCR, but expect RBNZ to outline a heightened sense of downside risk. The central bank is expected to continue to temper expectations. A total of 80% of economists interviewed by TMM Online said they believe the OCR has troughed in this cycle at 1.75%, but 20%, including Michael Reddell and ANZ's Sharon Zollner, expect OCR cuts as sluggish economic growth and weak inflation continue to bite. No immediate changes are expected from Reserve Bank governor Adrian Orr, but economists will be watching his words closely. 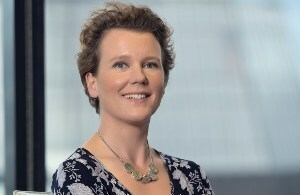 ANZ's Sharon Zollner expects "more dovish tone, acknowledging the changing balance of risks and endorsing current market pricing, which favours cuts". While BNZ's Doug Steel predicts the MPS "to at least acknowledge developments since November. We don’t think they will net to too much, if any, change in the main policy message". ASB's Nick Tuffley says Orr will "note greater degree of risk around global outlook". While Brad Olsen of Infometrics said the central bank will balance its outlook on recent data. Olsen said: "Business investment has been weaker than expected, supporting the view that monetary policy should remain expansionary. However, underlying inflationary pressures showed greater heat in the December quarter, underscoring a need to remain accommodative but not overcook it." Economists remain divided over the long term OCR track, when it will change, and whether it will move up or down. The US Fed has recently dialled back its forecast for rate cuts, while in Australia, the RBA has moved to a neutral stance on interest rates, adopting a more cautious tone. Olsen of Infometrics is among the more bullish Kiwi economists. He said the Reserve Bank "may raise its interest and inflation forecasts marginally" to bring an OCR hike closer to its prediction of late 2019. In contrast, ANZ's Zollner said: "We have pencilled in a cut in November, with two follow-up cuts in 2020. This is not contingent on whether the RBNZ changes their growth and OCR forecasts meaningfully next week or not. We expect the economy to continue to fail to accelerate as the year progresses, making the case for easier policy clear in time."